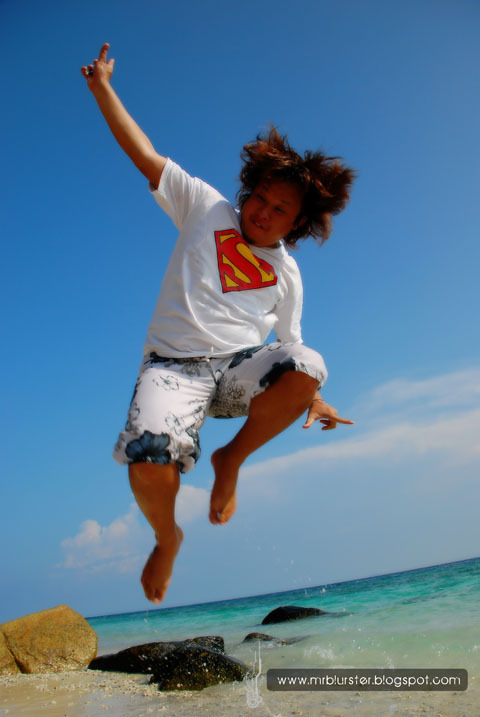 This is the first time I blog using blogspot. I will be transfer all my blogging from multiply to blogspot but I will be still using multiply to upload all the photo album. 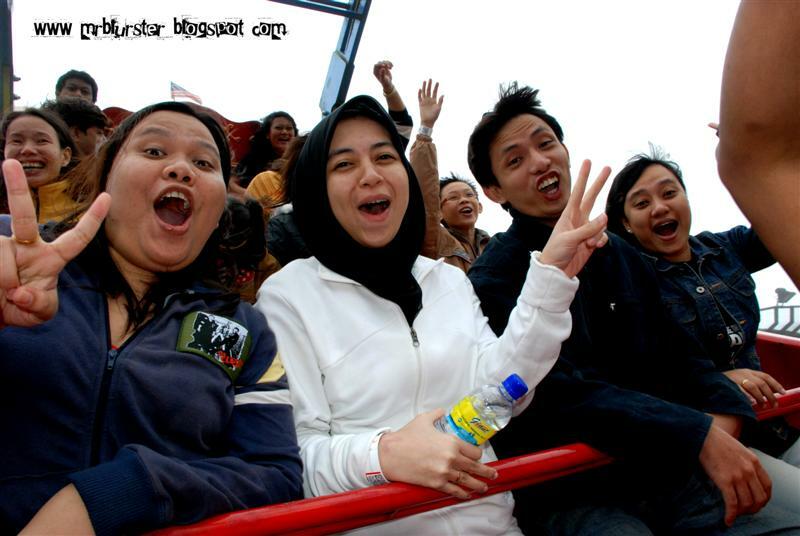 Since the first outing to Aquaria KLCC, we have another outing which is at Genting Highlands. Not consider as free outing because we still need to pay additional RM6 because our company only sponsor each person RM20. Kinda cheapskate but better than nothing. Although sick (flu and cough) I still follow my colleagues. Some of the pictures taken during the so called company trip. 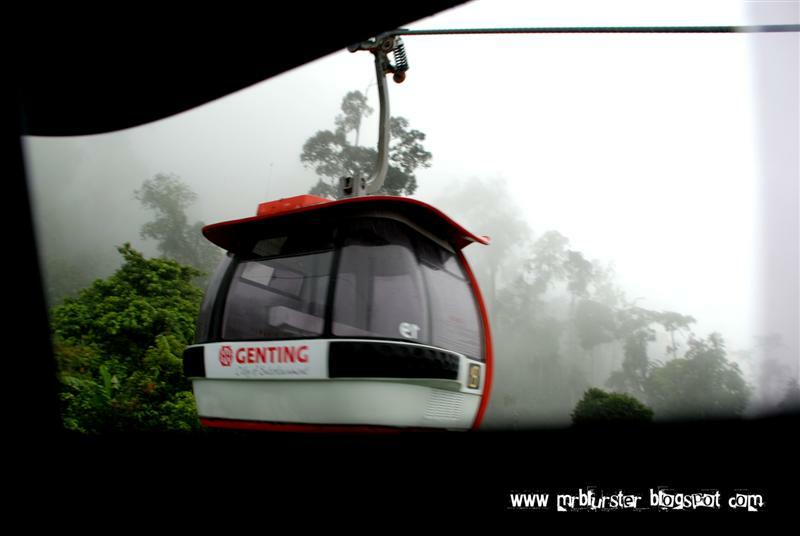 Taken at Skyway Genting which I think I had not been riding for so long. 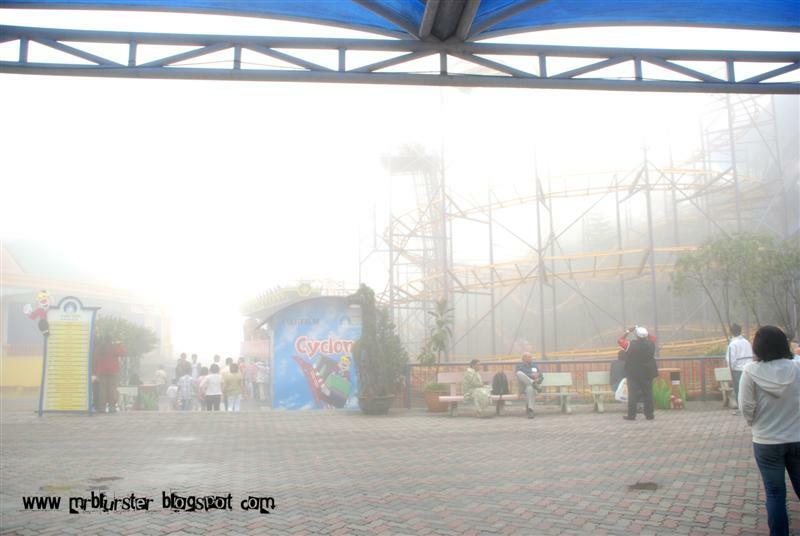 When we reach the theme park it was freaking foggy and raining. 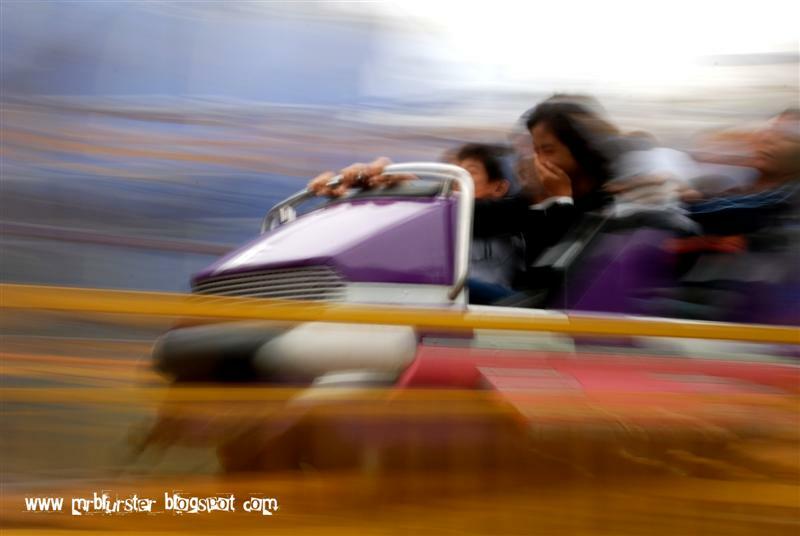 No more moods to enjoy the outing as many people are playing inside theme park because of school holiday. If cannot play, just see other people play while taking their photos. 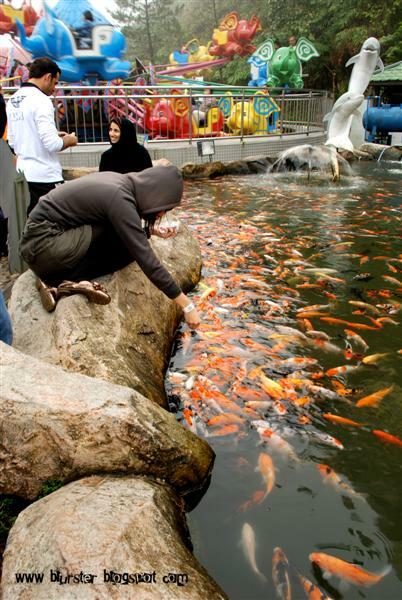 Besides that, can enjoy the scenery of a girl feeding the coy fish. Get ready to shot funny faces when playing pirate ship. 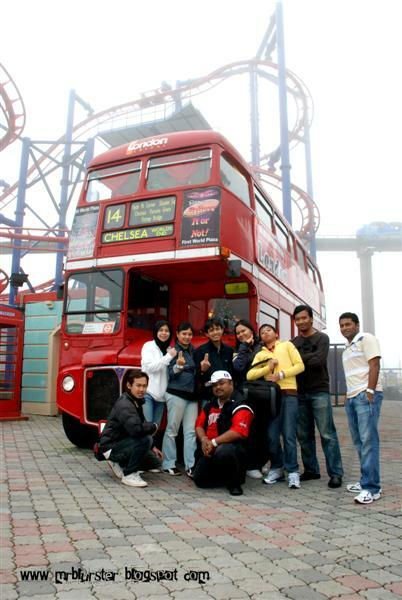 And finally group photo together with the London Bus. Coming up NEXT ... We are saved by YMCA... How? ?